SK Gaming | Content: Cypher: "maybe I'm just better than [Cooller]?" Cypher: "maybe I'm just better than [Cooller]?" 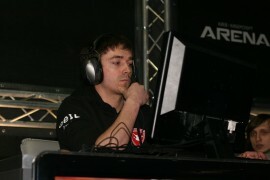 Alexei 'Cypher' Yanushevsky is one of the most accomplished Quake duelers of all time, and is widely considered one of the most talented to ever make to the top. In 2008 his incredibly fluid and impressive style had the scene firmly under his boot, winning three big titles and $21,605. After the rise of rapha saw the American dominate the early QuakeLive titles Cypher had to rework his game and eventually rose up again in 2010 to become the best player in the world. Despite failures at the IEM events and QuakeCon in 2011 he has been the best player across the year, beating rapha in three finals. 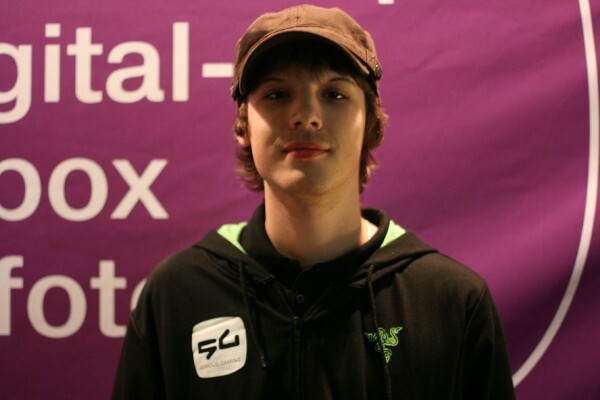 The last of these was Dreamhack Winter, where he swept his American rival to cement his status as QL's alpha dog. The Belarusian spoke in this interview about the highs and lows of his career, his relationship with legendary Russian Quake maestro Cooller, his rivalry with rapha and his development as a professional player. As a 16 year old you made the final of ESWC 2006, your first big international tournament, and beat Cooller in the semi-final to reach that point. How did that come about? At that time I had just won GigaGames 2006 with Cooller in the final, so I stepped my game up before ESWC and was totally in the game during all 2 weeks of practise. So basically I knew I was owning, but at the same time it was my first international tournament, so I was sure that I wouldn't show even half of my true game. But right after I plugged in my stuff and saw all the crowd everywhere... I just really liked it and didn't feel confused, so I just started to play my game. To be honest that was my best shape in my Quake 4 career to that point in time. How do you think you handled the pressure of playing in the final? What happened to you after the first map? Was winz better than you in Quake 4 at that point? First of all the final was in Bercy, which was looked like stadium. Of course there were a lot of people there who was clapping, pumping their firsts etc., and everybody was cheering for winz due to his [French] nationality. After phrantic I felt a little bit wierd playing the second map, everything was against me. I couldn't time [items] and my in-game thinking was off, so I blew the final. I really don't think he was better at that time, I was just under a lot of pressure from what I had seen looking into the crowd. Anyway GG WP Winz, he became the ESWC 2006 champion and removed my dream to win ESWC for two years. Comparing that ESWC final to your experience level now, having played in and won many finals, what has changed over the time period between? Do you still experience nerves? What is your mindset? To be honest ESWC 2006 changed everything for me. I still get nervous and I still have poor actions in-game, but since that tournament I started to love big stages with a lot of people. Everytime I see it, and if I know I'm gonna play in a final I think that I'm gonna show these people what modern Quake is, how it supposed to be look. I feel really good now in terms of having improved my game, especially in finals. After the ESWC final you were unable to reach top 3 placings internationally for a whole year, and it seemed like you had issues with that until the last part of Quake 4. What accounts for that time period and what changed in the latter days? How do you think of your Quake 4 career on the whole? 2006 was a really good year for me. Then in 2007 I was growning up as a guy and I was wanted to have a lot of parties, to enjoy life in all of its aspects. Of course it had a big influence on my game, I wasn't playing even half as much as I could have during that time. I was really trying to get my shape back, to adapt to new patches like 1.3 or 1.4, but I couldn't make it higher than top 3 in the world. I would say that although I couldn't even touch av3k and toxjq at that time I considered myself top 3 in the world in Quake 4, and at the last tourney in England [i32] i proved it. In general I was really enjoyed playing Quake 4, especially in the beginning when I was on fire. I really played very good that year. Even now, remembering what was happening in my head during that time, I truly think I was in one of my best shapes ever. I was 16 years old! How did winning over $13,000 as a 16 year old boy affect you and your mentality as a progamer? You can see from my results in 2007 how the money affected on me at that time :)) I would say it changed my opinion on what a big amount of money is. For now it changed opinion about money in general. Back then I was really easy going and spent it as fast as possible, now it's a bit of a different story of course. How much would the average salary have been in Belarus at the time and did winning so much money affect the way people around you behaved? Maybe 300$ per mounth, maybe less. Well, yes and no at the same time. I was trying not to announce to a lot of people that I was winning money from tournaments. But you know, I never put money first ahead of Quake. Of course in the beginning I was a little bit lost in my head. Looking through Quake history one sees that a number of the all time great duel players reached their first major final at a young age. You, ZeRo4, av3k and Cooller all managed the feat at only 16 years old. The pattern from then on seems to be that despite success early on, and possessing the skill to win, that there comes a period of time when these players drop off and need to find a way to revitalise themselves. What is your perspective on these observations? I think it's simple. All of these players you mentioned truly loved Quake. We wanted to improve our game so much, we were living with this thoughts about the game like a madness. You know it's hard to hold your head and motivation in the same line, there's always something happening in your real life that doesn't allow you to think only about Quake. That happened to most of us since as we started to get older we had bigger responsibilites. It's a pity esports is not really big, so we must think about our future in a different type of life. We understand that we won't play forever, and we won't have the same money when we will finish playing as we did back then. So people must understand that if their favourite player doesn't play well it means that something doesn't allow him to. This something is called real life. As someone who competed in all three how do you compare Quake 4, Quake 3 and QuakeLive? How effective were your approaches to each? Quake 4 was all about positiong I would say, and very fast movements to control items. Quake 3 CPM vq3 was all aim for me, I could even not know when items were spawning at all and easily win the game. QuakeLive mixed a lot of things in. I really like this game due to it the balance. I think that to win a big tournament you should to use all of the aspects perfectly: timing, aim, dodging, movement, positioning, logical adaptation in-game etc. Despite your improvement in results towards the end of Quake 4 you still weren't winning any of the tournaments. When the switch came to Quake 3 in 2008 you suddenly went on a rampage, winning everything for a couple of months. Did Quake 3 suit you better than any of the other games you've played? How did your free-flowing intuitive style develop? I felt a little bit wierd. 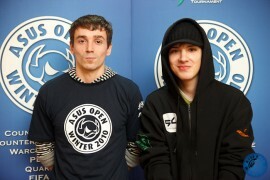 Right after the last tournament in England I went to the ASUS cup in Moscow to play two Quake tournaments, Quake 4 and Quake 3 CPM vq3. My aim was only to win Quake 4, and I didn't want to play the Quake 3 tournament at all, but in a moment I rethought matters and signed up for Quake 3 also. After I won the Quake 4 tournament the Quake 3 tournament was the following day. I hadn't played the game for about two years. As soon as I joined the server and started to aim i began to feel that my aim was 200% better than in Quake 4. I started to feel the gameplay was really fast, and it was just so simple for me that I couldnt belive it. I won against a lot of top players that day, and lost to keep3r in the final due to one thing. Right after this ASUS I started to play Quake3 Vq3 for fun, and from game to game I was improving really quickly and i really felt that all oponents were just easy for me. I don't know how that happened, I just felt that the game was really good, and I was really sure of myself, which helped me a lot during all the tourneys. Let's say that Quake3 CPM VQ3 for me was like the Matrix for Neo. What was the effect of winning QuakeCon and ESWC, two of the most historic events in Quake dueling history, and becoming the best player in the world? In which moments did thoughts of retirement cross your mind? How close were you to going through with it? After ESWC 2008 Masters Athens I truly wanted to win something and leave the scene, but there were no tournaments till next QuakeCon, which was 2009. And it was already QuakeLive, so I couldn't just leave without achieving what I wanted to achieve, so as you see I had extra motivation. Did memories of the 2006 ESWC final resurface before the 2008 final? Heh, yes I was thinking about it :) I left it in my head, but at that moment will be stuck in my mind for long time, when I was standing next to the stage before the final. Your free and aggressive style in Quake 3 fit the game so well but once the scene fully switched to QuakeLive you had your difficulties in comparison to your Quake 3 success. Most of your losses were to rapha so how much was it that your style did not fit QuakeLive early on and how much was it that rapha's slow and more defensive approach fit the game perfectly? Were you forced to become more of a tactical player to win tournaments in QL? Describe your current style and strengths. I think I become a more experinced player in mental and techincal matters. Right now I always know what my oponent going to do, it helps me much. Also I've got decent aim, which helps me a lot in dificult situations. I think I can play aggressively and defensively with the same level of skill. Of course I make mistakes in the game, like everybody, but I try to minimize them down to nothing. You say you only have "decent aim" but I'd put it to you that you can have the best aim in QuakeLive at times. Famous aimers like Strenx, k1llsen and Spart1e aim more like bots but your style of aiming appears more natural and can be at just as high a hitrate. This seems to be a key to your QuakeLive style in the sense that early in QuakeLive you had many battles with strong aimers where you tried to outaim them directly, which still sometimes worked. Now, however, you've added a component of playing more defensively and using positioning to close out games where you have leads. What is your perspective on this theory? Let's say I know the base of Quake perfectly, what rules there are and are not... and how I'm gonna approach them. In the past I couldn't do anything to win because everybody outaimed me pretty badly, so I was thinking a lot about how not to be hit as much and how to hit others as much as I need. As soon as it began to work out I began playing more consistently. I feel and see where my opponent will move and what he is going to do a few steps ahead of him. Of course I can't do it 100% effectively, and this sounds wierd, but I am really looking forward to making these situations go 100% in my favour. I can't describe it too much, because most of the time it's just feeling options and moments and it comes only from my head. As soon as I'm very concentrated, and focused in the game totally, I become a really hard oponent to out-aim or out-positiong. Excluding QuakeCon 2008 (which was QL but some time before the full QL switch) you lost the first four playoff series you played against rapha. During that time a number of people felt as though rapha would always hold an advantage over you stylistically, and Cooller even famously said something to the effect of "rapha is the cure for Cypher". Did you have any psychological issues facing rapha during that time? Was there some tweak you needed to make or confidence deficit holding you back? I can't say that I respected him as a player more before than now, but I did figure out some moments where I was making mistakes and all the time it was the same. It's hard to describe this mistake to people, you feel it mentally not techically. Also, I was focusing too much on how he plays, as opposed to how will I play. I think we still didn't play our best match in QuakeLive. I hope some day it will happen when we show our best perfomances. The IEM IV Global Finals semi-final was a famous moment in both of your careers, as he came back from two maps down to win the next three and the series. Did you go back to that series mentally in the following months? When he began his comeback did it at all register in your mind that he had managed a similar comeback against Spart1e in the QuakeCon 2009 final? I wasn't thinking about it at all. I didn't play well enough on last 3 maps to beat rapha, that was my only thought. I didn't make drama for myself about that semi-final. Of course the first 30 minutes I was really sad but time is healing. When you had your run of winning ASUS Summer 2010 and Quakecon many felt like you were the best player in the world, since rapha and Cooller attended both. 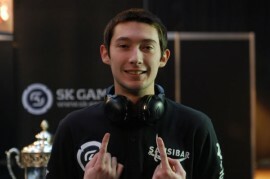 Even so you did not get the opportunity to face rapha, thanks to Cooller beating him and then losing to you. You didn't manage to beat rapha in a series and win an event at the same time until UGC this year. During that 2010 time at the top did you have the feeling, as expressed by some, that you needed to face rapha and beat him to prove you were the best player in the world? I wanted to play him at Quakecon of course, but I never had feeling that rapha is the opponent I'm seeking to beat. No, actually I knew that my time would come when I could play him with a refreshed mind. Things changed during the 2010 BEAT IT final, rapha pulled me back to those times where I felt not very nice mentally against him. I had one night to think about it a lot, and i did. The next day I won Dreamhack Winter. What is the explanation for how you came to let the clock run out on the final map, hektik, of the BEAT IT final against rapha? You went for armour instead of attacking and lost due to him being ahead in frags. I messed up with clock. I thought I had one more minute. LOL. What was your reaction when the map ended? Shocked... I didn't expect that it will finish that moment. There was five seconds of shock, then just I was totally crushed by my thoughts. I was thinking "What have I done?" and all those kinds of things. As I said: I had one night to think about it a lot, because next day was supposed to be Dreamhack. In the four playoff series you've played vs. rapha in 2011 you've won all four, and all of the events they took place in. Have you figured out rapha's style? If you face him in the next tournament will you consider yourself the favourite? Have his days of beating you ended? Those are hard questions. Let's say that rapha, av3k and Cooller always have the ability to beat me, no matter what will happen. I think it depends on the specific day, tournament and the form of each of us. I'm really looking forward to playing rapha when he will be in the best shape of his career at the same time as I am. When I face rapha he will always be one of the guys who I will aware of, even if I won 20 games against him before. In the five playoff series rapha won against you in QL he took 11 maps to your six. In the five series you've won against him you've taken 12 maps and he has only won two. rapha has also never swept you in a series, while you've swept him him, including a Bo5 final. Those patterns would suggest when you lost to rapha in the past it was usually by a close marging but that since you've been beating him it has been by a large margin. What do you say to that? Those are just statistics, pure statistics. When I play him it's always very difficult. If I win I'm sweating to do it, even if it's 3:0! Earlier in your career many people assumed you had a similar relationship to Cooller as av3k: that you looked up to him from before your time as a player, traveled with him to events and were friends with him. How accurate is that? Was it significant for you to become friendly with him? Of course I was one of the fans of Cooller's game. I liked how he moved around the map, dodged, aimed... even how he was sitting near his PC. Yes, I wanted to be like him, but not for a while. As soon as I started to go to ASUS cups he stopped being that idol that I saw when watched him in demos. Until i31, in England, we didn't even talk to each other. Only after that tournament did we start to communicate a little bit. Anton is a hard guy to understand sometimes. Sometimes what he is doing doesn't look good, but in general I think he is an interesting person to talk to about real things, especially for me because we have almost the exact same style of living in a big city. So for now I can ask him for advice with something. But it never was significant for me. There is an infamous ztn game from 2008 where the score is close and you telefrag Cooller. Cooller was angry after that happened, slamming his gear on the desk, and the look on your face was interesting. You weren't at all happy, instead you looked embarrassed or shocked. I didn't know what to feel. I knew I'd won because of that telefrag, and that I was still in the tournament because of it. So I wasn't satisfied that the situation occurred. Would your reaction have been the same if the opponent had not been Cooller? I wasn't thinking about Cooller at all, I didn't care about his destiny after this game. I was sad because I was playing poorly and that after all perfomances I'd made in the Summer I didn't want to lose this tourney. So I was worried about why I put myself in such a situation, where a telefrag kept me in the tourney. Your record against Cooller in QL is almost impossibly dominant, in the context of you both being elite level players. You've won nine out of 10 playoff series against him and 25 out of the 31 playoff maps played. What accounts for the huge disparity in wins when the two of you play? Due to my wish to be like him, since first games we played I wanted him to show who I am, and make him respect me as an oponent. I think mostly because of that I'm always concentrated so much, and I really want to show my best skills against him. Let's say that I do everything to win when I play him. Why I won so much I don't know, maybe I'm just better than him? Cooller had problems winning against rapha and av3k early on in QL but then gradually found a way to win and make the matchups more event. What holds him back from being able to beat you? I think at the end of the day he has some psyhological block. But in general, all the time I think he thought he was better then me, and was making stupid mistakes which always costed him the game. Before the IEM IV Global Finals, in 2010, there was an infamous interview with av3k about the restart situations at Dreamhack Winter 2009 and the IEM IV European Finals [where av3k gave Cooller a restart at the former and Cooller did likewise at IEM]. av3k was upset that Cooller later said he shouldn't have given the restart at IEM and your team-mate was also annoyed that Cooller kept calling you lucky if you beat him. Prior to this the perception in the West was that you, av3k and Cooller were all good friends. 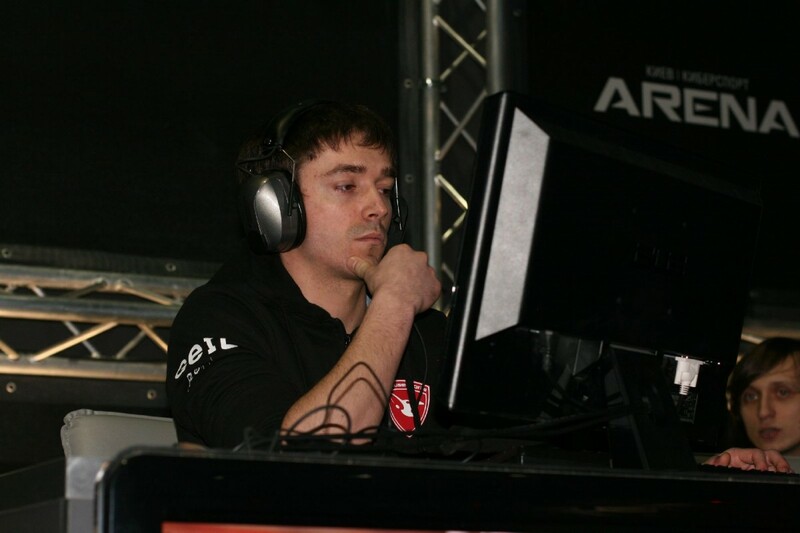 Were there problems between you and Cooller or was it only av3k who was upset? You know, what Cooller said just shows how he is as a person. He was also saying that I'm one of two stupid players in Quake, but as we can see Cooller is the smartest player in the world but can't even touch top 3 with rapha, me and strenx included. So it's funny to see that he is putting himself higher than everybody else, as I said before: he is a strange guy. About the situation between av3k and cooller, most of all this situation was bubbled up by the community from [ESReality]. If not for ESR this situation wouldn't have been so epic. ESR always makes normal things epic. If Cooller had beaten you in a final or won some more matches in your head-to-head do you think he wouldn't make the same comments? When Cooller wins actually he is a nice guy, a lot nicer than when he loses. Never heard anything bad myself after he wins something. 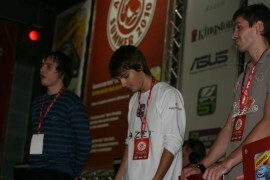 At ASUS Summer 2010 Cooller beat rapha 3:0 and 2:0 only to be swept by you 3:0 in the upper bracket and grand finals. While not as prestigious a tournament as IEM, ESWC or QuakeCon was one of the more perfect tournaments in your career? It was the first tournament I took my girlfriend to. It was really a great time, right after that final they put the Barcelona vs. Manchester United final on. I was cheering for Barca and was really glad they won that final, so I had a triple good mood. In general it was a really comfortable tournament for me, maybe results was like that because of it. BTW that frag on x1t with lighting guy on ztn [as seen in Cypher's movie by Musashiii], was made at that tournament. Were you as surprised as everyone else while making that frag onto x1t? Have you ever experienced that kind of knockback in QL before? Some have called the QuakeCon 2010 final you played against Cooller the best match in Quake duel history. Cooller seemed to be at his absolute peak while you were also playing your best Quake and it appeared to be anyone's series. Do you think the series deserves such historic status? Was it the best Quake you've played? Is it your best memory of a final? I want to say, YES YES and YES =) I think we showed some really amazing Quake, which shows people that this is a very high quality game. I was more than happy, because that victory wasn't easy. I put a lot of work and energy in to win that tournament. It was one of the best moments in my life to recognize what kind of hard work was done to make it real. Yes it was the toughest and greatest final for me. It was one of my best games for sure. You lost the first two maps and during the fourth, aerowalk, a very famous scenario took place. While playing out of control, and against a player famous for his control, you were able to survive without much armour, all the while hitting an incredibly high rail percentage without being caught by Cooller. When the game was happening were you planning specific strategies you would play out? Were you only reacting to each moment? My thoughts were changing really fast with each other. I was trying to think as fast as I could, because I knew that this was my last chance to survive. If I couldn't do it then everything that was in past just doesn't make sense anymore. Everything was really fast for me, I understood that I could loose easily, but in the same time I believed in myself that I can turn game around. Looking back at the VODs now I can easily say it was in some moments adrenaline, in other moments just a very big wish to win a map. Was there a specific moment you realised you were going to win the map? Yes, when I took the last mega, before the last fight, I realised that it's my map to win. That everything was finished for him, and I can not hide anymore and be scared that he will kill me any second. What did you do to survive for so long on a high-scoring like aerowalk without control? Did everything go to plan? I was thinking that if I'm on Yellow Armour then he can surprise me only if he goes straight to the teleport. If before that he tried rushing at me then to prevent that happening I would try to make positioning that would stop him catching me of guard. Then if I saw him being super-agressive I was trying to escape and to block him somewhere, to eat some big item. I was trying to do it several times and once it happened very well for me, I took mega and then I could make some attacks on Red Armour. I was totally relaxed after that mega, and then I just pushed in at the right moment and won the game. You've only played four playoff series against av3k in QL and he's beaten you in three of them. The maps are really close with 11 playoff maps for him and eight for you. Since av3k also beat you in the Quake 4 days why do you think he continues to beat you? av3k av3k, he's an interesting guy to discuss. Well, I see him as one of the true champions, even if he doen't win a lot nowadays. He has such a strong game style, which is pushing his oponent to play his game. Even if he is not the favourite in some matches he always would be the guy who can improve during the game, and then because of his character win this game against any player. I think in general he has a good mentality, but since he losing tournaments he has been losing his champion thoughts, his way of thinking which helps him to play as well as he can. During our games I think he never feels stress or mentally bad playing me, so he can show really good games against me and control the map like nobody else does usually. Of course at the same time there are things that cane be done to beat him, but still... when he is on fire, this is super hard to do. In a video interview with me av3k said in Quake 4 he was able to win because he didn't care who his opponent was or the map they would play, and that part of why he is not as successful now is that he can't regain that mentality. When av3k beats people he seems to force them to play his style and crushes them with his aggression and pressure while in control. When he faces rapha he doesn't seem able to play his style. He loses to Cooller quite often now, despite the fact he beat the Russian all the time before. Have you observed anything notable about his play against these players? Well you see, everybody sometimes makes the wrong decision. Quake is a game where if you make a decision you have only 1-2 seconds to make it a reality, or it won't work at all. I think Maciej [av3k] just doesn't understand a few things here and there, to beat rapha or Cooller. He still has fire in his soul but also he has thoughts like not believing in himself or that he can do it. 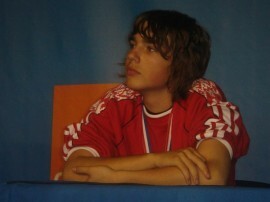 One time I think he was too much sure in his win, it was before the ESWC 2010 final against rapha. I remember he told me that he felt that would win this tourney. The main reason he lost to him is that he didn't give much respect to rapha, he did absolutely the opposite: he underestimated him, which is very dangerous for everybody, especially in the final against rapha. As soon as he was beaten on lost world he lost half of his confidence. A few rail hits from rapha almost totally broke av3k down, but still rapha won in a very close match. What are your thoughts on the current state of Quake competitions? Will Quake ever return to one of the major tournament organisations? Of course this situation is really sad to see. QL is the best 1v1 FPS competition game, and there are no doubts about it. I don't say that just because I play this game, but because it's true. I understand tournaments don't want Quake and I understand why. What I don't understand is where all the young kids are who must own us so much. Where are these 13-15 years old lil boys who are looking forward to being champions, to feel what we felt? Until there are some of these youngsters Quake has no future. Will you continue to play QuakeLive as long as there are tournaments? Yes, I will continue while there are tournaments. Despite your disappoints at the IEMs and QuakeCon you had big successes at the two Dreamhack events and the UGC. How do you view 2011 as a whole year? Where would it rank amongst all of those in your career? Does it compare to the 2008 when you won your first big titles or the 2010 where you took down the most money of your career ($32,000+)? Quake fans fondly remember the great players of history, from their qualities to their personalities. How would you like Cypher to be remembered once he has stopped playing? I dont know really, it's a hard question. Maybe rockets from Belarus? =) I hope people will remember me well. I want to say thanks to all the people who trying to make quake alive, and keep doing it. I would like to say thanks to my sponsor Razer, for being so professional for the years we've worked with them. Big respect to all the guys I know personally, haters: I love you, take a clan's. My gf is the best :) Thanks to you, Duncan, for this massive interview.